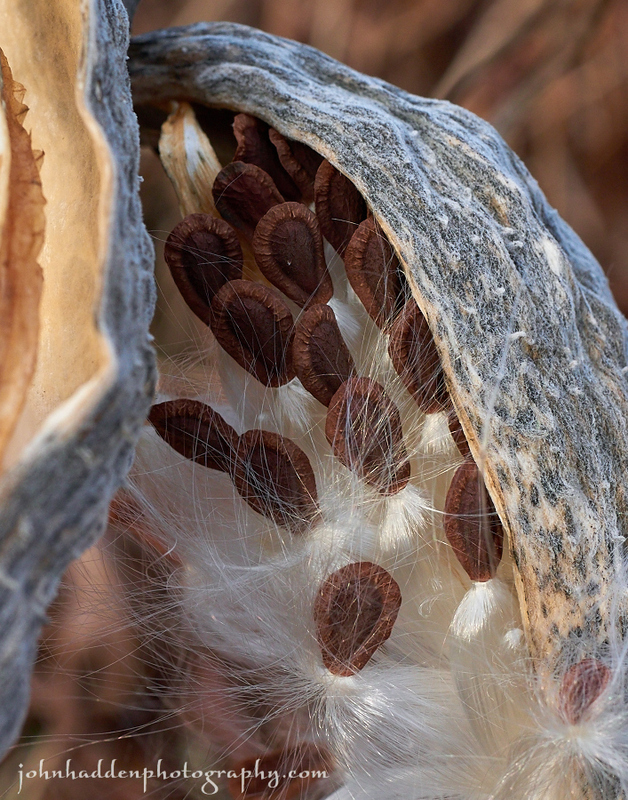 In this closer look at the milkweed pod I posted the other day, the silk bedecked seeds seem to be peeking out of their pod in anticipation of wind disbursing them. 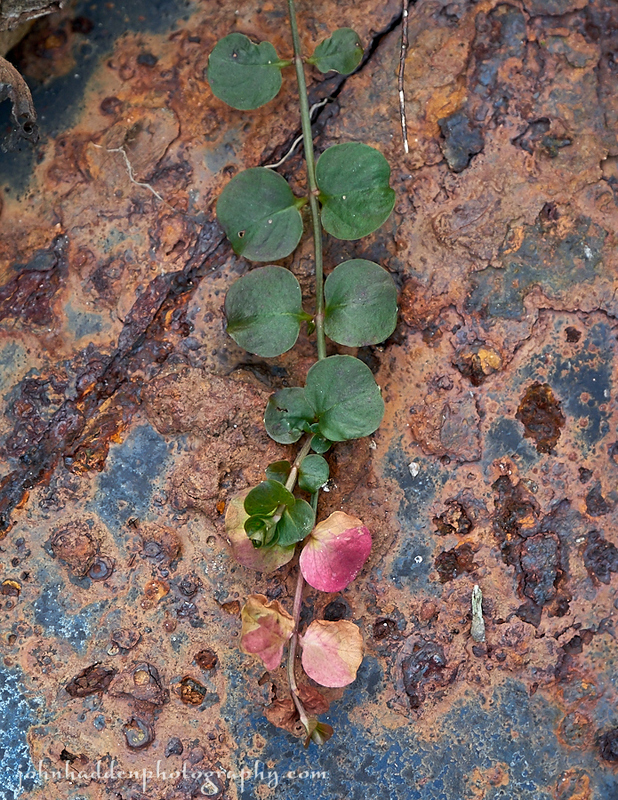 Panasonic Lumix GM5, Lumix 30mm macro lens, ISO 400, f/8, 1/125″ exposure. 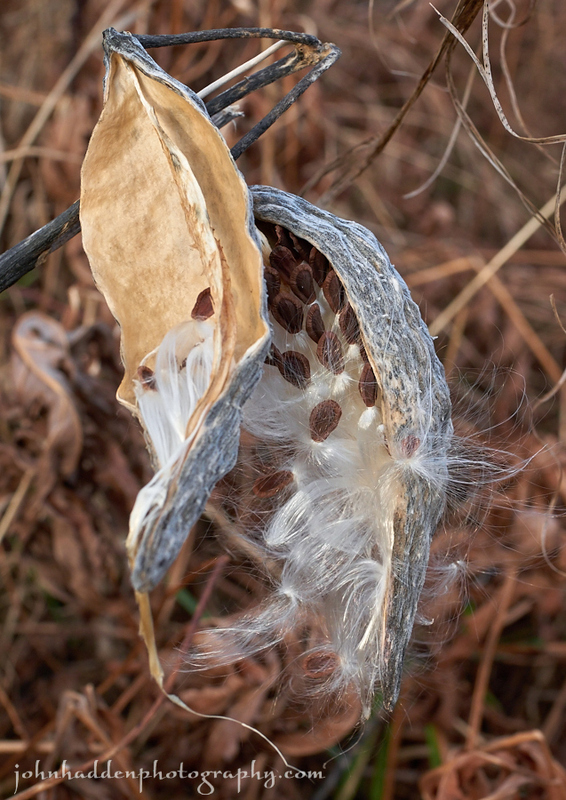 I’ve always been somewhat captivated by milkweed. From its tight buds in spring, to its cluster of intricate flowers in summer, to its pods busting in fall, it’s an interesting and important native plant. Its importance as a food source for Monarch butterflies is well known. This pod in our front field was in its final stage spilling its seeds to the wind. 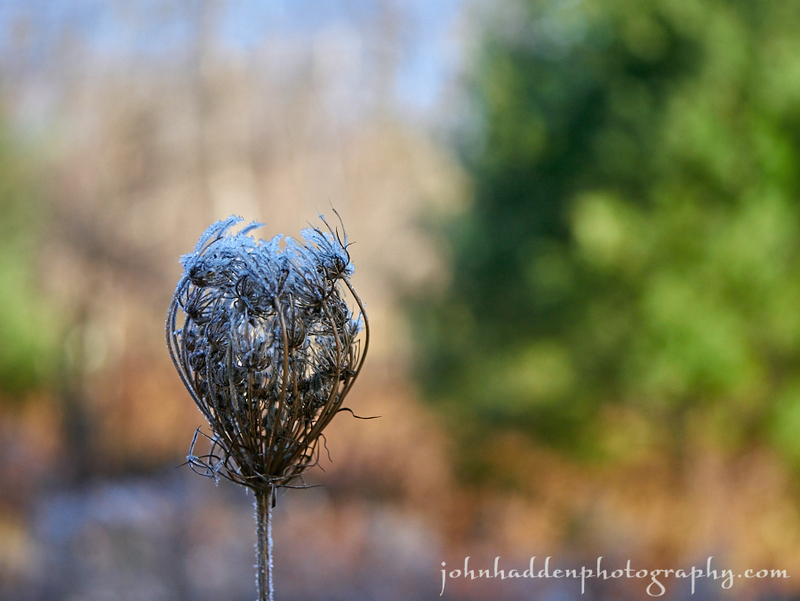 A tightly packed Queen Anne’s lace seed head sports a mantle of frost in the early morning. Panasonic Lumix GM5, Lumix 30mm macro lens, ISO 400, f/2.8, 1/1300″ exposure.